Much like his Game of Thrones character Jon Snow, Kit Harington's ancestry is littered with noteworthy figures. The actor has even played his own ancestor by appearing as Robert Catesby in BBC's Gunpowder. Keep reading for more on that. Let's take a closer look at Kit Harington's fascinating family tree. Kit's connections to royalty start on his paternal line. 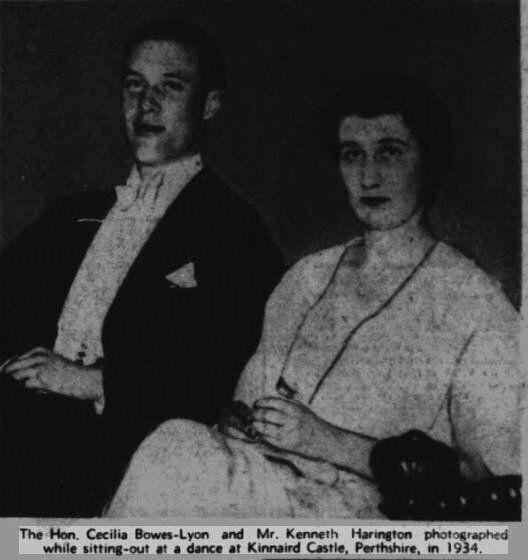 His great-grandfather, Sir Richard Harington was 12th Baronet and High Sheriff of Herefordshire, while his great-uncle Kenneth Harington married the Queen's cousin, Cecilia Bowes-Lyon. Harington's royal family tree doesn't stop there. His four times great-grandfather, George Legge was appointed Lord Chamberlain, the most senior officer of the Royal Household, from 1804 to 1810. Frances' great grandfather, Heneage Finch not only has a name like a character from Game of Thrones, but he also lived like one. He was a key player in the Popish Plot, an alleged conspiracy to assassinate King Charles II in the 1670s. Ultimately, Harington can trace his blue blood back to the same monarch. Charles II is Kit's eighth-great-grandfather on his father's side. Like most British families, the Haringtons also have deep-rooted military connections. The 1911 Census of England and Wales lists Kit's paternal great-grandfather Ernest Denny as a Major Reserve of Officers in the 19th Hussars. Ernest's father, Thomas Denny shared his son's strong sense of duty but for a different cause. He was a keen supporter of the Salvation Army and even paid the first year's rent on the organisation's headquarters in London. Through his maternal line, Kit Harington is directly descended from Robert Catesby, the mastermind behind the Gunpowder Plot of 1605. In a quirky coincidence the actor played Catesby in a TV show about the famous conspiracy. Catesby's legacy lives on in Harington's family today. It is Kit's mother's maiden name and his middle name. What Will You Discover in Your Family Tree?